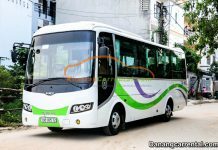 Kha Tran is specialized in offering a wide range of budget, luxury, cheap car van bus rental or lease in Hue, Da Nang, Hoi An and other provinces in center of Vietnam on a daily, weekly, monthly, long term rental including airport transfer, car rental for business & tourist with a budget cost. Our fleets consists of a wide range of vehicles from 4 to 45 seats. 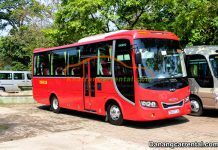 It includes Sedan, SUV, MPV for individual, family needs or Van, Bus for a large group of passenger, you can find all types of popular vehicles for rent: 4 seat Toyota Vios (or Toyota Altis, Ford Lazer), 7 seat Toyota Innova (or Ford Everest), 16 seat Mercedes Sprinter (or Ford Transit), 24 seat Hyundai County, 45 seat Hyundai Aero Space. Our vehicles are in well kept condition and maintained regularly, they are fully equipped with the latest amenities and safety features that ensure your trips will be safe, convenient and comfortable. Since 2015 we have been providing luxury car rental service with FORD TRANSIT LIMOUSINE 10 SEATER Which is best chosen by VIP. The car is designed sophisticatedly with the details be made elaborate and meticulous, bring comfortable and most personal. 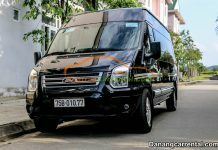 With 5 sleeping seats that reclines 170 degree like bussiness class on plane, 4 seats can turn around for a mini meeting, this type of van is best suit for both relaxation and working on the road. Kha Tran ensures high quality and efficiency for all our visitors, at all times. 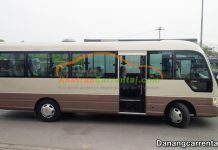 Book your Da Nang rental car, Hue car rental today and enjoy your vacation.